Alberobello doesn’t have a proper typical product but it brings together the products, that characterize the greatest part of region Apulia, especially the province of Bari. The ancient culinary traditions passed from generation to generation and they make Apulia a region where the taste coming from the sea and the land, blend together to create delicious recipes, which are prestigious flagship of the Apulian cousine. Alberobello is not only that beautiful place famous for its characteristic buildings called “Trullo” and for the variegated surrounding landscape; it is also and above all an agricultural town of great importance for the cultivation of high quality wine grapes. One of the most appreciated is a kind of wine called LUI, produced with Troia Grapes. Troia is among the oldest and most typical grapes planted in northern and central Apulia. It’s probably coming from Asia Minor (Troia) and it arrived to Apulia during the Greek colonisation. 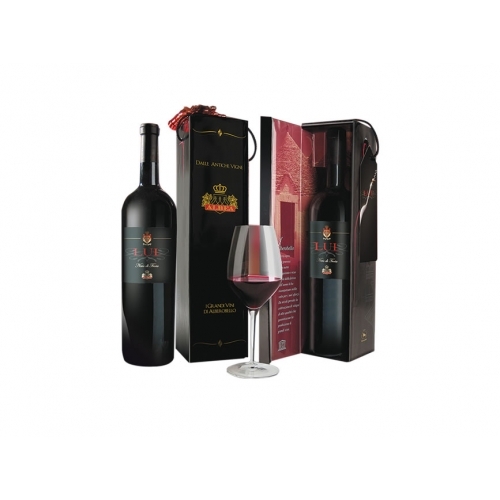 The main characteristic of this wine is the deep ruby red colour with a purplish hue. The taste is intense, persistent and well-balanced, with spicy and fruited notes of vanilla and liquorice. 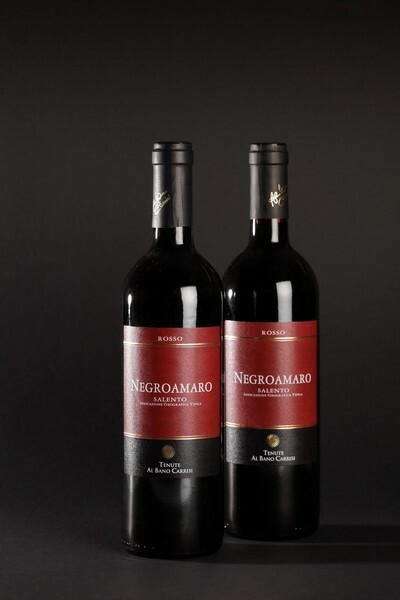 The sophistication of this wine, is what makes it very precious and highly appreciated in the oenological scene. Among the finest grapes we can find in Apulia, we remind the autochtons Negroamaro, Primitivo di Manduria, Primitivo di Gioia and D.O.C. Locorotondo. Apulian wines are very intense and rich, and thus go well with the recipes of the area, such as mashed fava beans with wild chicory, orecchiette with rabbit sauce or turnip tops, with ricotta or tomato sauce, cavatelli and fricelli with chili or tomatoes, or even barbecued mutton, fried beans and hundreds of other recipes belonging to the ancient but still living culinary tradition. These are some among the best examples of how the simplicity of the dishes can ennoble thanks to the quality of the ingredients. Taralli are pasta rings and they are made ​​exclusively using fresh ingredients, the most characteristic of the agricultural tradition of region Apulia: wheat flour, white wine, fennel seeds, salt and extra virgin olive oil that makes them fragrant and at the same time crisp. Tarally are basically used to replace bread during meals but they are also ideal as a snack. Fish in Apulia is always fresh: mussels and sea urchins are always available. 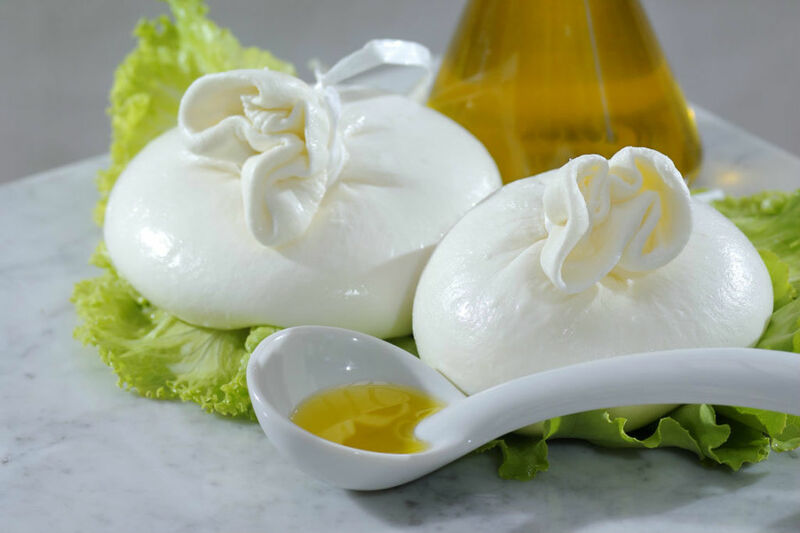 Amongst the dairy products we quote mozzarella and burrata: Burrata is a fresh cheese, characterized by a spherical shape of about 7-10 cm, produced manually and stuffed with cream. The taste is almost sweet and buttery. 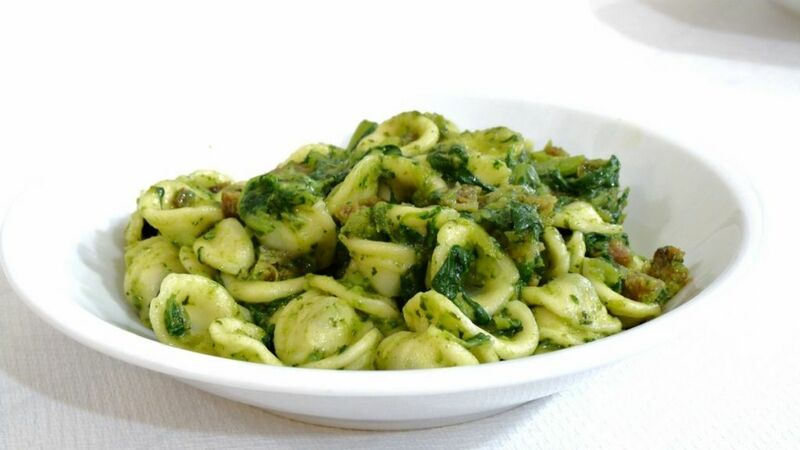 Our Tip: we have quoted in this review “orecchiette with rabbit sauce”. It’s perfectly normal in Italy to eat rabbits, but we know that different cultures can’t even think about it and find it very unpleasant. So, before eating meat, be careful and always ask for information if you don’t fully understand the menu. Anyway, rabbit is translated into Italian with the word CONIGLIO: watch out this word!